Note: For past Forum use of Delaware "Section 220" stockholder demands for records, see March 11, 2001 New York Times | Market Watch: "In the War on Gibberish, a New Investor Ally and subsequent demonstrations in its early pubic programs for shareholders of Computer Associates (2001, renewed 2004) and Farmer Bros. (2002), with continuing applications as recently as the buyout of Dell Inc. in which Mr. Icahn was actively involved (2013). 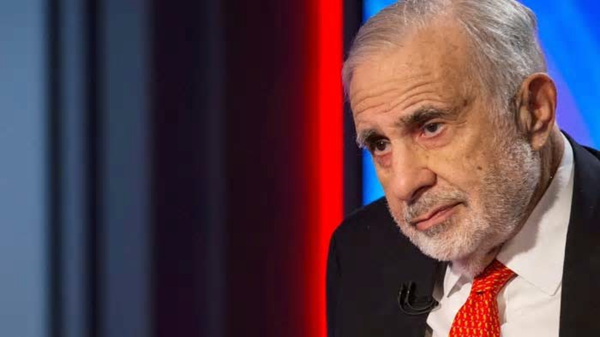 In a public letter, Mr Icahn also made a “220 demand” upon Sandridge, using an obscure section of the Delaware corporate law code under which shareholders can request corporate books and records if they suspect wrongdoing and want to find proof. Obscure until now. Suddenly the 220 inspection demand is on the radar of shareholders’ lawyers, who want to challenge the process and price of M&A deals. Plaintiffs’ lawyers have increasingly been stymied when trying to use the courts to wring a higher price from acquirers. But the 220 angle could swing the pendulum back. A string of recent court decisions in Delaware — the state where most American companies are incorporated — have made lawsuits that challenge M&A transactions not only difficult to win but tricky even to bring. Broadly, this has been a welcome development. The rulings have largely eliminated the nuisance lawsuits that used to plague M&A, where companies were targeted the moment they announced a deal by attorneys claiming the price was too low. This scourge mostly faded because of a 2015 ruling involving the internet company, Trulia (though clever plaintiffs’ attorneys are increasingly trying their luck in federal courts). More substantive cases have also got harder. Since another landmark 2015 decision known as Corwin, companies can have breach-of-fiduciary-duty lawsuits effectively dismissed if shareholders had approved the deal in a fully-informed vote. The idea the Delaware courts now promote is that, as long as shareholders know the key circumstances of transactions and are comfortable with the terms of a deal, there is no reason for judges to intrude upon a transaction. There is a general feeling that the reforms enshrined in Trulia and Corwin that cull deal litigation have been sensible. Yet the worry is that instances of real wrongdoing — for example, tainted M&A advice from the investment bank RBC over the sale of ambulance company Rural/Metro cost the bank $100m a few years ago — cannot be easily investigated if courts are quick to dismiss lawsuits. Enter the 220 demand. Some Delaware practitioners have alighted on this for getting aggrieved shareholders a chance to determine if a company improperly sold itself on the cheap. Traditionally, 220 demands have been used by shareholders who want to sue a board of directors or management, not for themselves as such but on behalf of the company in a so-called derivative lawsuit, if they suspect wrongdoing or a breach of duty. Shareholders, of course, are not ensconced in day-to-day corporate affairs, so the 220 demand is a way for them to request access to basic corporate records that could help them make their claim. It is easy to see how those corporate records could be helpful for anyone trying to open up a case of the RBC-Rural/Metro kind. And so it is easy also to see why corporate defence lawyers are now trying to shut down the gambit. The issue has just been raised in Delaware Court of Chancery in the case of Apollo Global’s $2bn buyout of telco West Corporation. West argued that, because it has received a fully-informed shareholder ratification for the deal, as per the Corwin standard, the court should deny shareholders’ books and records request. The judge disagreed. Shareholders could not reasonably be expected to discover improprieties in the company’s sale process just from public filings, vice-chancellor Joseph Slights ruled in December, and the court had long encouraged high-quality complaints from shareholders that used the “tools at hand” like 220 demands to do the hard work of investigating corporate wrongdoing. Shareholders need only show a “credible basis” — the lowest burden of proof — that wrongdoing occurred and that the information request is essential for investigation. With that, Delaware has opened up a new avenue for attorneys looking to challenge M&A deals, and the next frontier in the never-ending war between dissident shareholders and unrepentant companies. Expect legal skirmishes to come over exactly what information companies should be forced to surrender. Standard internal deal documents might be unsatisfactory, particularly if companies are now encouraged to keep board minutes and pitchbooks intentionally bland. Litigants can be expected to fight for email correspondence among board members as well, says Randall Baron, a prominent shareholders’ attorney. “The battle will be over what documents plaintiffs are entitled to,” he said. Carl Icahn can be dismissed at times as a grandstander, but with his use of the 220 action, he might be on to the next big activist trend.